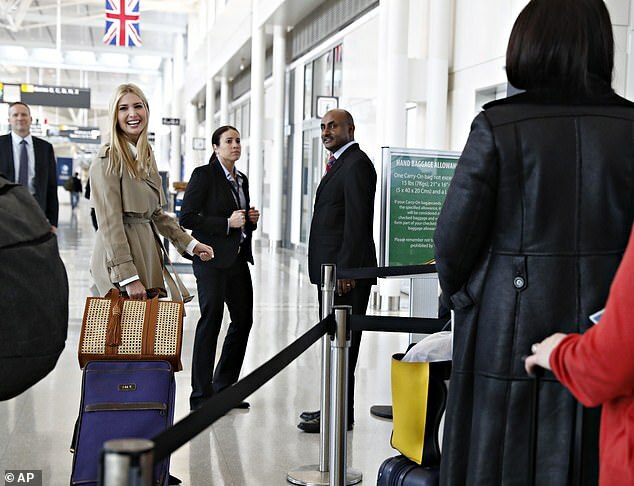 Ivanka is all smiles as she prepares to fly commercial to Ethiopia and Ivory Coast | Daily Mail Online | Ye Dallas Radio! - የዳላስ ራዲዮ! White House adviser was all smiles on Saturday afternoon as she prepared to head to Africa to promote a global women’s initiative she’s leading. 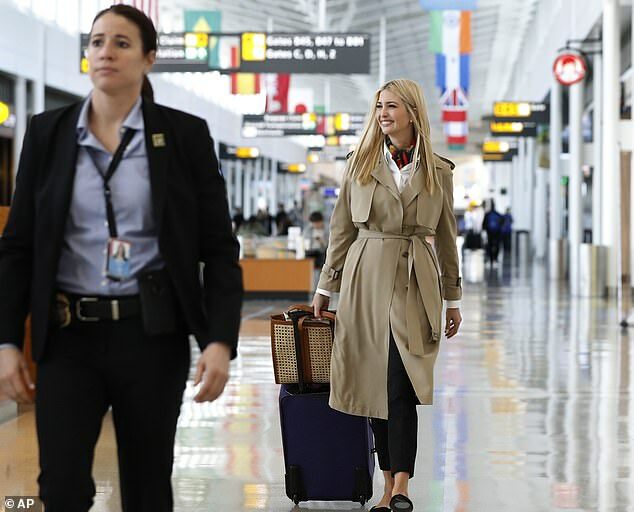 President ‘s daughter was pictured walking through the airport concourse at Dulles airport just outside of Washington D.C.
She is due to visit Ethiopia and Ivory Coast over the next four days and it flying commercial, rather than using a U.S. State Department aircraft. The White House said her schedule includes a women’s economic empowerment summit in Ivory Coast as well as site visits and meetings with political leaders, executives and female entrepreneurs in both countries. For parts of the trip, they will be joined David Bohigian, acting president of the Overseas Private Investment Corporation (OPIC), as well as Kristalina Georgieva, interim president of the World Bank Group, which is hosting the summit. 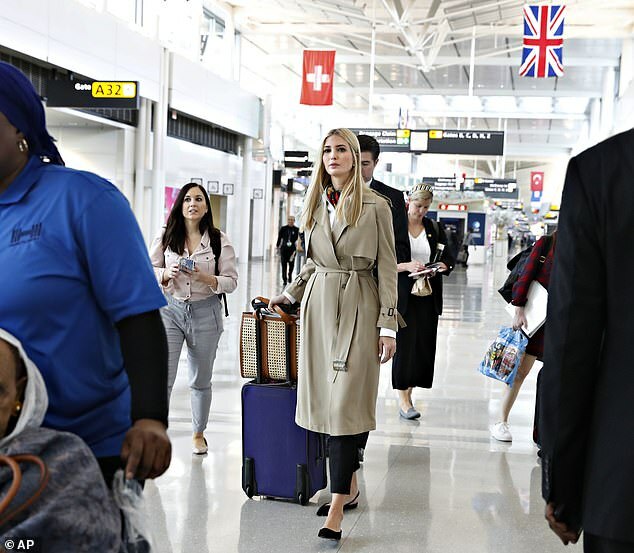 It is Ivanka Trump’s first visit to Africa since the White House undertook the Women’s Global Development and Prosperity Initiative in February. 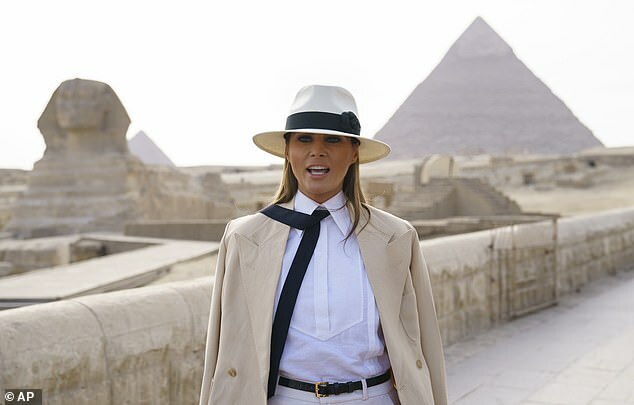 She said she was ‘excited to travel to Africa’ to advance the effort. Money for the effort will come through USAID, which initially set up a $50 million fund using dollars already budgeted. The president’s 2020 budget proposal requests $100 million for the initiative, which will also be supported by programs across the government as well as private investment. Ivanka Trump has made women’s economic empowerment a centerpiece of her White House portfolio. However, Ivanka Trump’s efforts could be complicated by the President’s own remarks after his private comments about ‘s***hole countries’ in Africa and other regions were leaked to journalists.